Relays are electromechanical devices found in many electronic systems. It is basically a switch, but actuate by electrical current. It consisted of a magnetic solenoid coil, an armature which is part of the switch. During product development and qualification phase relay must be thoroughly tested. There are a number of AC electrical and timing specifications that must be tested. These test parameters are: operate-time, operate-bounce-time, release-time, release-bounce-time, maximum frequency. The relays coil often in the 12V, 24V, or higher. In addition, the driving current may be any where from 10mA to over 100mA. Due high voltage and large current, typical lab function generator are not able meet the test requirements. To overcome generators limitation, a Waveform Amplifier is used to amplifier the voltage and provide the necessary current. 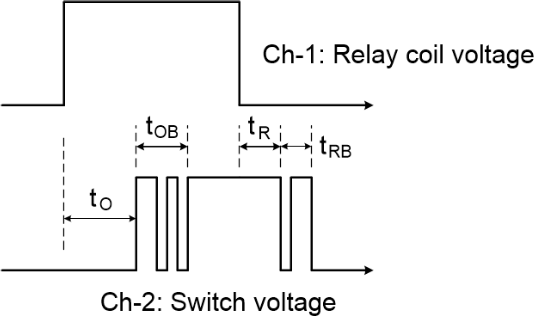 Figure 1 shows an example relay test setup. In this test example, the relay is single-pole-double-throw. The solenoid coil is driven by a Waveform Amplifier. The relay's switch normally-open contact is connected a 3V supply and the normally-closed contact is connected to ground. The common-contact is monitored by an oscilloscope. 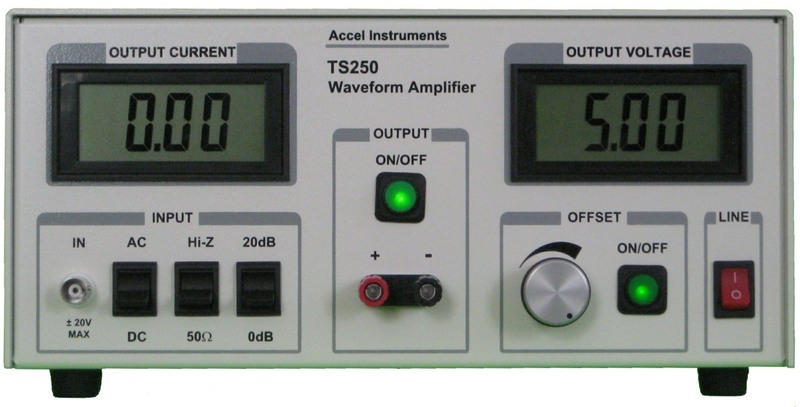 To test the operate time, a high-voltage pulse from the function generator amplifier is applied coil. After a brief delay the switch is closed. The operate time is the time it takes from voltage applied to the coil to the time switch is closed. Using the oscilloscope to monitor the timing. Channel-1 monitors the solenoid voltage and Chanel-2 monitor the switch voltage. Figure 2 shows the timing.